Ballet must be one of the top loves for girls. So learning ballet is almost a rite of passage for many young girls. I certainly learnt ballet as a child. I loved the graceful movements and music of ballet. For many girls the pinkness of ballet is also something they love. Tutus really bring the ballet party theme to life so can be an essential for a ballet themed party. They're also great for pretend play at home. You can get some great tutus for very little money so it's an idea that can work without well. 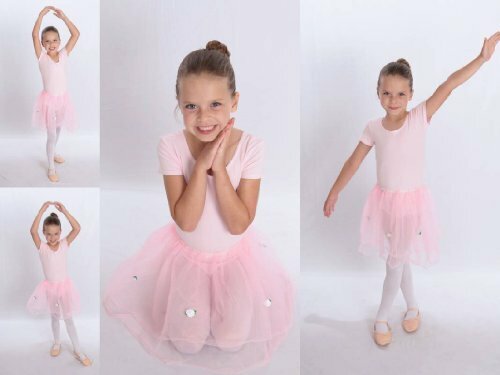 Pink is the traditional color of course but you can also find tutus in other colors as well - both in brights and pastels. It's a great idea to choose them in the main color you're using for your party. If that's ballet pink it's really easy but regardless of what colors you've decided on I saw pretty much every color tutu in cheap bulk sets on Amazon. Toys are always a big hit in a party favor bag and you can get ballerina themed ones that aren't expensive. 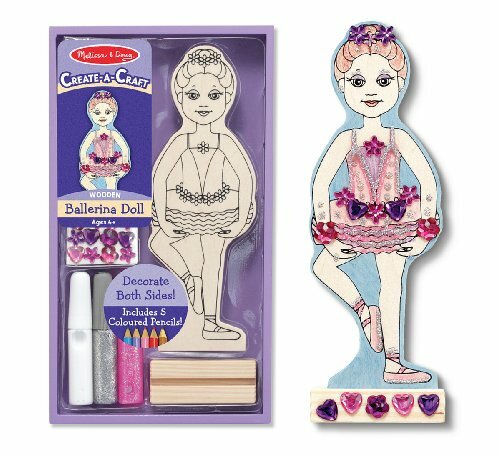 I thought this ballet craft kit looked like a lot of fun and would be great value for it's small price. It comes with glue, glitter glue, plastic gems and colored pencils to decorate a wooden ballet dancer. If you want to keep kids busy at the party you could also use this as a ballet craft activity at home. Being made of wood it's something the kids can keep, rather than paper craft projects which can tear so easily. 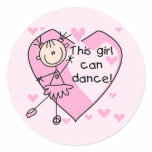 Kids love stickers so using ballet themed stickers as a party favor is a great idea. Good quality ballet themed stickers aren't always to find though. Luckily you can get some really nice sticker sheets with 20 stickers with a specific design. With stickers like these you only need to give one to each child. Or if you really want to go sticker crazy for the party bag you can get a few sheets of different sticker designs and give each child one of each sticker. 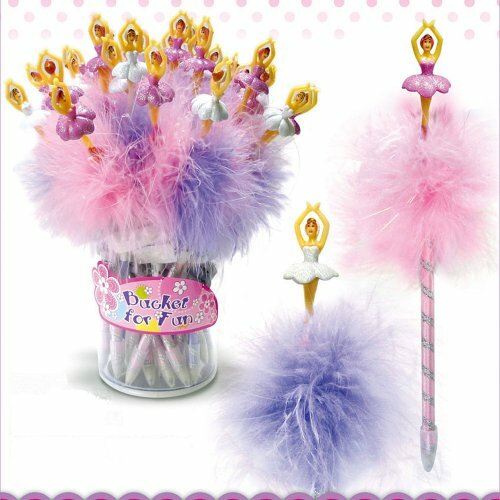 Getting back to ballet pinkness these pencils are cute to add to a ballet party favor bag. They also need to be bought one at a time - but for $2.99 each they're an easy buy. The recommended age for this ballet favor 3 years and up. But I think this is a better party favor for school age girls. (They love taking special stationary like this to school.) It's also good for older preschool kids who have the coordination to use a pencil and want to feel like a school kid. 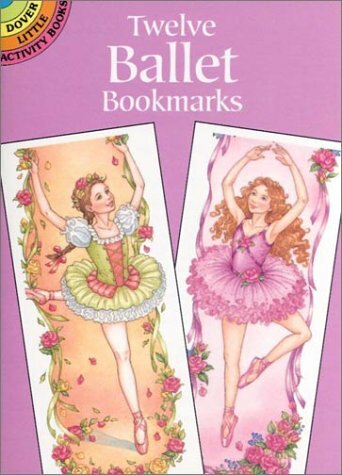 The bookmarks have different designs on them like young ballerinas en pointe, bowing to an audience, engaging pas de deux and more. They're a sweet party favor and one that will hopefully encourage reading. 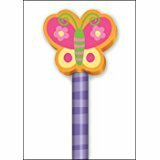 As bookmarks are used for chapter books not picture books this party favor is best for school age girls. 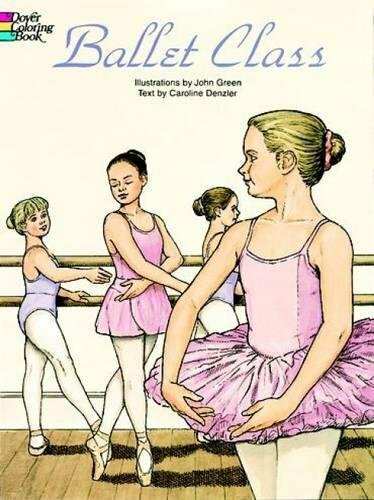 As well as being a coloring book it gives simple information about basic ballet technique. So it's an interactive and educational coloring book. But the information about ballet is quite detailed and the pictures are obviously designed to be educational. So another coloring book might be better for girls who love the pinkness and gracefulness of ballet - but aren't interested in the technique. 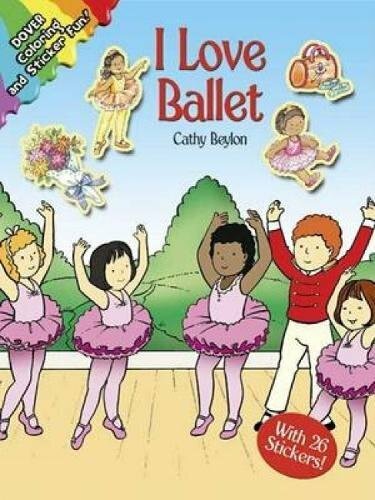 This is a cute coloring book for girls who love ballet but don't want all the information that's in the Ballet Class Coloring Book. The pictures in this coloring book are cute. They would be good for preschool or younger primary school girls. There's also a simple story to go with the pictures. So this coloring book is better to use as a ballet birthday party favor if not all the children at the party are learning ballet. 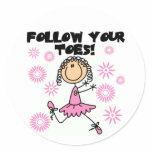 This one is for all girls who are ballet enthusiasts. These pens are the peak of 'special stationary' with their bright maribou puff and dainty ballerina on the top. Girls will be very proud to use these pens at school. Older preschool girls will also love them. 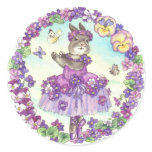 So they're great for a ballet party favor for these age groups. The pens come in a big pack of 30 with 20 pink and 10 white pens. This means they work out to just under $2 each. 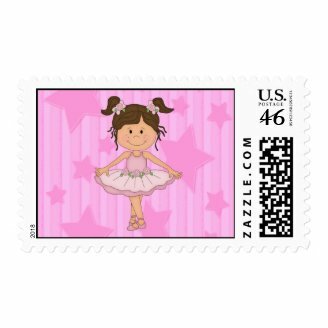 What about using a ballet themed stamp to send your birthday invitations out with? This is a fun and creative idea that few party organizers even think of. 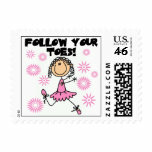 But getting an envelope with a ballet themed stamp adds lots of fun. This is because kids love getting mail - and it's even better when it's a party invitation with a novelty stamp on it. They've got a really sweet and old fashioned look to them don't they. I love the Dover stuff. A lot of it's gorgeous. These ballerina favors are so cute! 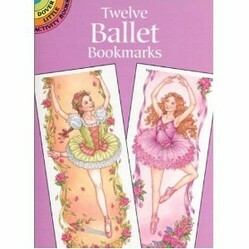 The 12 ballet bookmarks are my favorites. Oh gosh aren't they!! I just loved those when I saw them. The ballerina pens are beautiful!